Kurt Lamb joined ACTEON North America in 2012 and currently holds the position of Executive Director of Commercial Operations. He started as an ACTEON Manufacturer Representative covering MO, KS, NE & OK. After excelling in the Midwest territory, Kurt was promoted to Regional Sales Manager, Central in December of 2015. Kurt was promoted to Director of Commercial Operations in December of 2016 and added to ACTEON Board of Directors in 2018. 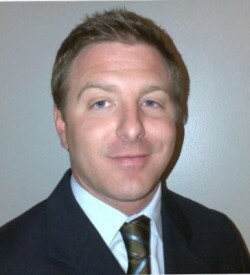 Prior to joining ACTEON, Kurt spent more than 10 years in Sales Management. His experience ranges from general management to National Key Accounts. Kurt has a Bachelor of Science in Marketing from UMKC and currently resides in Kansas City, MO with his wife and two children.